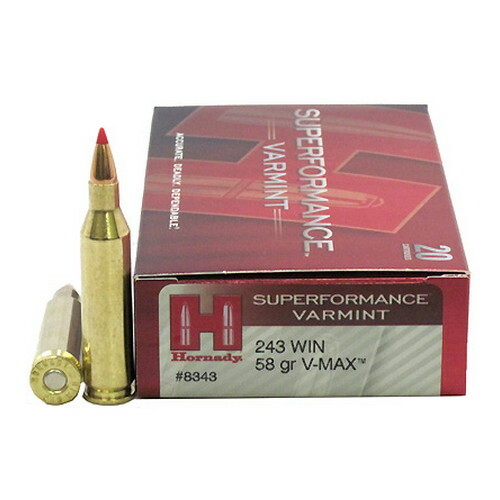 Loaded with Hornady's popular V-Max polymer tipped bullet, SUPERFORMANCE Varmint ammunition is filled with proprietary propellants that increase the velocity ratings 100 to 200 feet per second compared to other popular brands. Because there is no increase in pressure, regardless of the caliber, there is no increase in felt recoil but there IS an increase in efficiency and high speed performance. 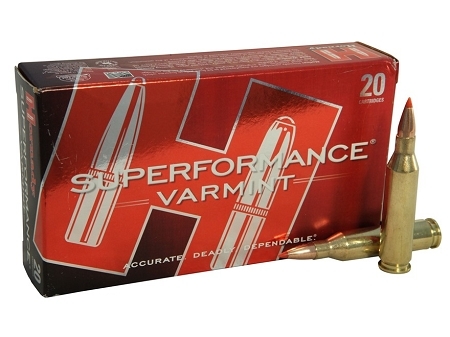 Plus, SUPERFORMANCE Varmint loads are versatile and will perform flawlessly in all rifles, including semi-autos.